Arthur Murray Studios teaching is on a scholastic basis, and degrees of dancing achieved are varied. Instruction progresses through: Student Introductory & Variety Programs, and Associate or Full Programs in Bronze, Silver, Gold, Gold Bar and Gold Star Standards. The system is called the Medalist System and is used worldwide. Courses are designed for people desiring instruction in either Social or Competition Styles. Additionally, we utilize a comparative style of teaching called the Arthur Murray Method, which allows students to learn the skills needed for dancing (not just steps) in the most efficient way possible. Our goal is to help you get out on the floor dancing as soon as possible. Dance Sport/Competition A Dance Sport Competition is an exciting one, two or three day event that brings students together from many Arthur Murray studios to compete, at their level, in dances of their choice. This requires specialized dance training to polish and perfect choreography, technique, and style. The agenda is full of activities such as dance competitions, cocktail parties, dinner dances, and exciting professional shows. You May Want To Know Eight out of ten dancing schools in America were started by people without any previous or adequate dance, or dance instruction training. 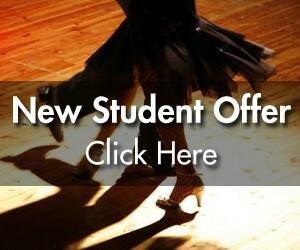 Anyone can profess to teach dancing, but your safest dance course is with an Arthur Murray expert.